Ethiopia’s economy has been one of the fastest growing in the world recently, lifting millions out of poverty. But now protests and violence are spreading across the country, and many are unhappy. Here’s what’s been happening, and the economics behind the story. 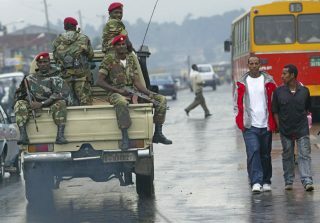 So what exactly is going on in Ethiopia? 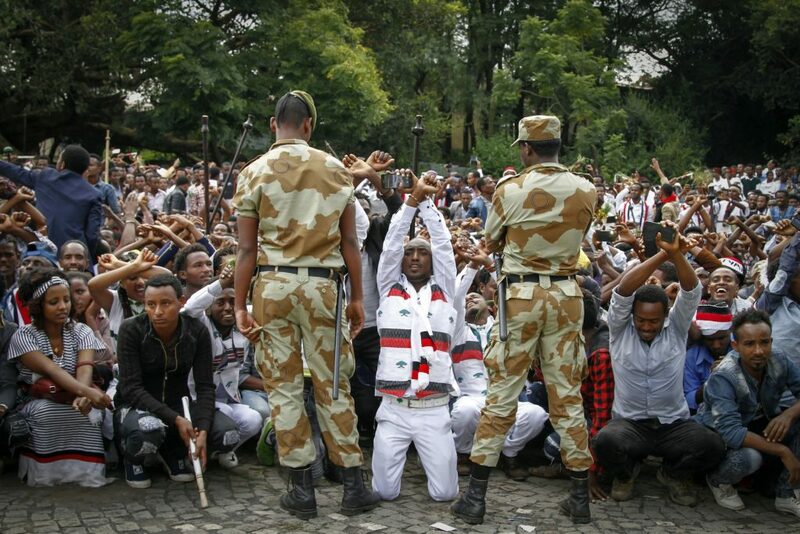 Anti-government demonstrations have been taking place in Ethiopia since late 2015. The authorities have launched a harsh crackdown in response, and violent clashes have been reported since. Earlier this month, the government announced a 'state of emergency' across the country. That means curfews, a ban on protests, and restrictions on social media. Human Rights Watch is calling it the "worst political and human rights crisis since the government took power”, with hundreds of people killed and hundreds more imprisoned. What does all this have to do with the economy? For over 20 years, the Ethiopian government has been trying to transform its economy, which was mostly based on agriculture into a more modern, industrialised one. They’re focusing particularly on investing in infrastructure and public projects - like building new roads, railways and dams - supported by high levels of aid funding from international donors. That all sounds fine – except they're keeping a very tight grip on the political system while doing so, to be able to follow their economic strategy unchallenged. That's why some are calling it 'development without democracy'. Strictly speaking, the current government is a republic, but a series of things make it questionable how representative they really are of the population. The ruling political party has been in power since 1991. At the last elections in May 2015, the party and its allies won 100% of the seats in Parliament - in other words, there are now no opposition MPs. Press freedom is very low, with the Committee for the Protection of Journalists ranking Ethiopia as one of the worst offenders both for censorship and for imprisonment of journalists. , Ethiopia has been showing some remarkable results. According to Africa Economic Outlook, the economy grew 10.2% in 2014/15 - one of the highest rates in the world. The World Bank has called it “resilient” and “impressive”. Millions have been lifted out of poverty as the country has become richer. The rate of those in extreme poverty – people living on less than $1.25 a day – fell from 56% in 2000 to 31% in 2011. A lot of international partners have viewed this as a huge success. One UK aid official said that in terms of poverty reduction, Ethiopia is seen as having “the most impressive record in the world”. ...then why are people protesting? The rise of the anti-government protests shows that despite all the evidence of economic development on paper, much of the population do not feel that this has reached them. As well as making direct political demands – fairer representation of ethnic groups, for one – a lot of the demonstrations were started with the specific purpose of opposing the government's economic plans, which people feel will enrich certain areas at the expense of others. In the Oromia region, for example, one of the main hotspots of dissent, protests began after concerns that new development proposals would result in people being kicked off their land. And despite the positive stats above, Ethiopia remains one of the world's poorest countries. More than 80% of the population live in rural areas, and were affected by very serious drought earlier this year. is also a big issue. While millions still live in poverty, the number of dollar millionaires doubled between 2007 and 2013, and over 60% of tax revenues are paid by less than 1,000 people. One of the key factors behind Ethiopia's economic success has been its stability and predictability. With protests becoming increasingly politicized, this whole system is now in a state of turmoil. If these strikes go on, the big problem for the economy is that investors and donors will start to see Ethiopia as a much riskier destination. This could drain funding away. And if the announcement of the state of emergency leads to more restrictions on rights and freedoms in the short term, anger at the government will only increase. If they want to restore stability, the government will have to convince the population that the benefits of the economy can be shared more widely, and that all groups will be able to have a voice.